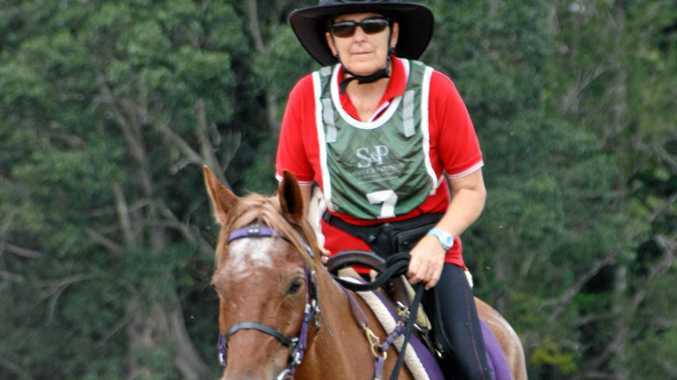 MORE than 150 endurance riders from as far afield as Osaka in Japan and Mt Martha in Victoria saddled up in Imbil on Sunday, May 14, to take on the diverse forestry terrain around the Stirling's Crossing Equestrian Complex over 40km, 80km and 120km distances. The Australian Endurance Riders Association event attracted about 400 visitors to the region, thanks to families and support crew members joining the riders. Event host and Stirling's Crossing Equestrian Complex owner Matthew Sample said he was delighted with how the event, which was oversubscribed, had gone and congratulated the winners on their exceptional results. "It was wonderful to have the current Queensland State Champion and Imbil local Kaylea Maher take the win in the lightweight category and Boreen Point resident and 2016 Pat Slater Cup winner Kelsey Irvine take home the middleweight title,” Mr Sample said. Endurance riding has a long history, having started in the early 1900s as a military test for cavalry mounts. Today the controlled, long-distance rides involve competitors covering large distances across diverse terrain. The winning rider and horse are those who cross the finish line first, having passed a number of veterinary checks along the way, including after the finish, to ensure the horse is fit and in a good condition. "It really was a fantastic weekend and the feedback we've had has been really positive from all who were involved,” Mr Sample said. "This is the second major event we've hosted at the complex and we're really happy with how it all went. "Stirling's Crossing Equestrian Complex is the only purpose-built endurance venue in Australia and we've worked hard to create an environment where the riders can really get the best results, both for themselves and their horses. "I am really proud of how everything came together and we are now looking forward to the next major event in early August when we host FEI 1*, 2* and 3* rides including the Bullio Arabians 2* Trans Tasman Challenge. "I'd like to thank the team at Stirling's and the wonderful support we've had from the local community to date. "It really helps when we welcome those who travel here from across Australia and overseas as we'd love them to keep coming back to Imbil. Set in the hills of the picturesque Mary Valley on Queensland's Sunshine Coast, Stirling's Crossing Equestrian Complex is Australia's first purpose-built endurance facility. The impressive complex combines state-of-the-art facilities with beautiful, diverse topography and hosts a range of equestrian events every year.